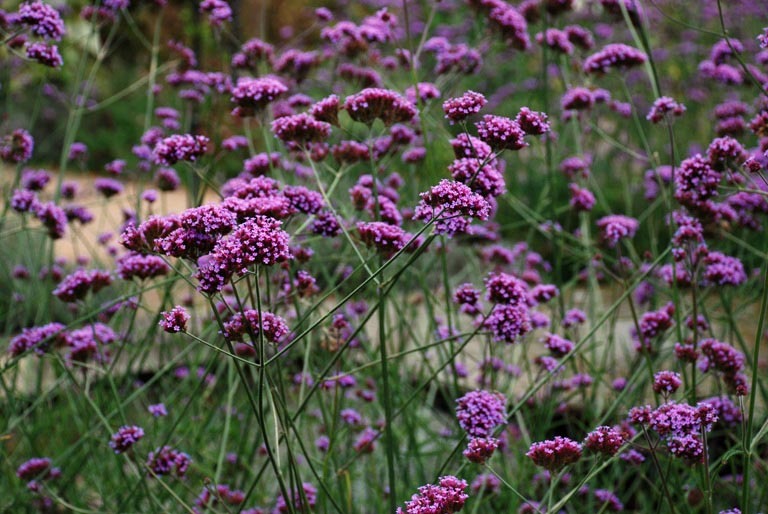 Verbena bonariensis was really fashionable in the garden world a few years ago and I still think it’s popular, but I certainly haven’t seen it at the flower shows in such abundance over the past couple of years. It looks fabulous planted en masse with lots of space around it so that you can really appreciate the beauty of the tall stems. It makes a brilliant plant in beds that separate areas of the garden where you want a boundary without restricting the view. In my garden it’s still flowering strongly and looks particularly fabulous in the evening when the light catches its hairy stems. 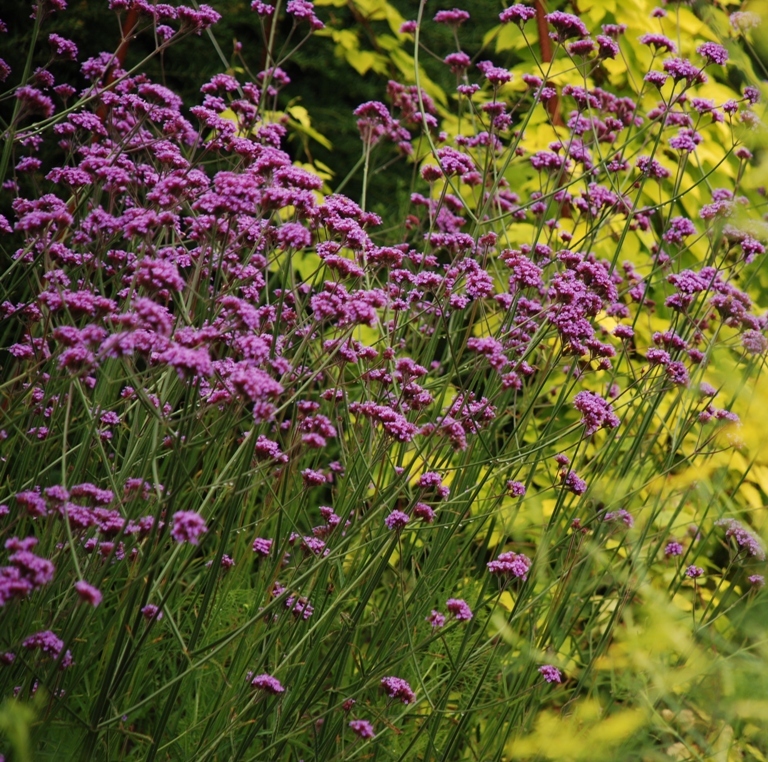 Verbena prefer well drained soil in full sun, but they will tolerate a little shade as long as there is enough light. 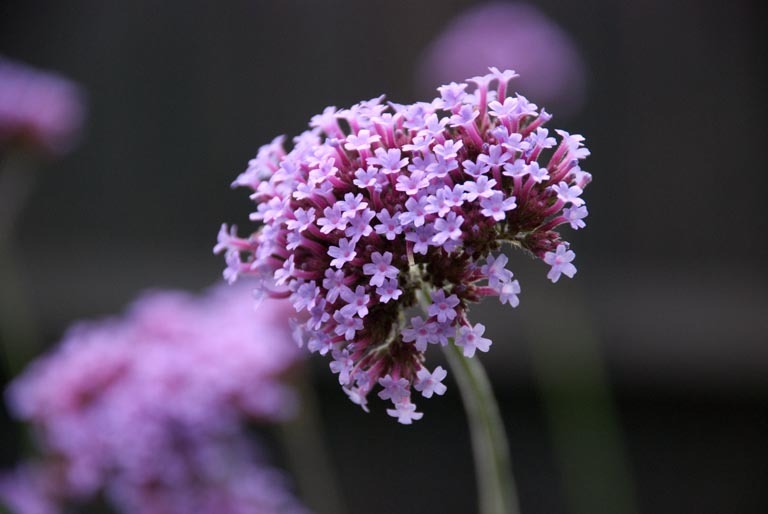 They have a reasonably long flowering period, producing blooms from June to September and often they last into October. The long stems reach a height of approximately 2 metres. 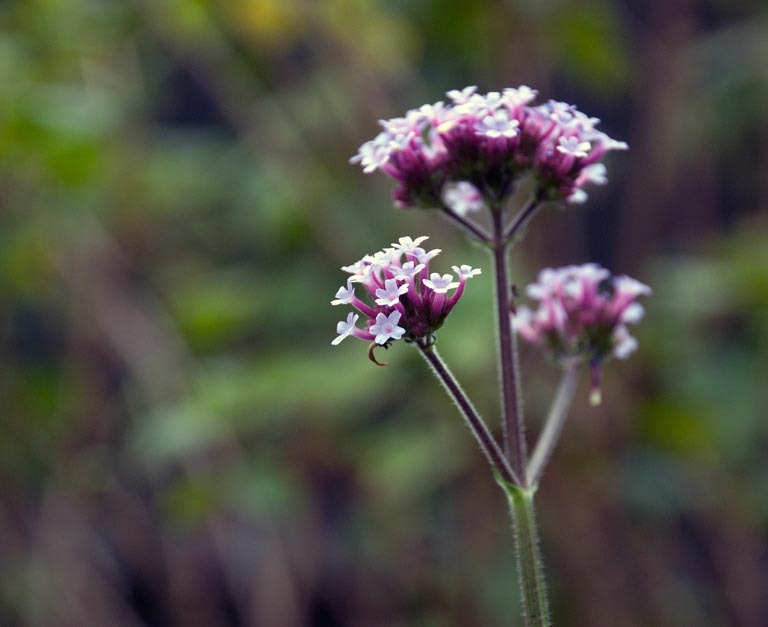 They’re a short-lived plant, but it doesn’t matter because they self-seed freely and gradually work their way around the garden. 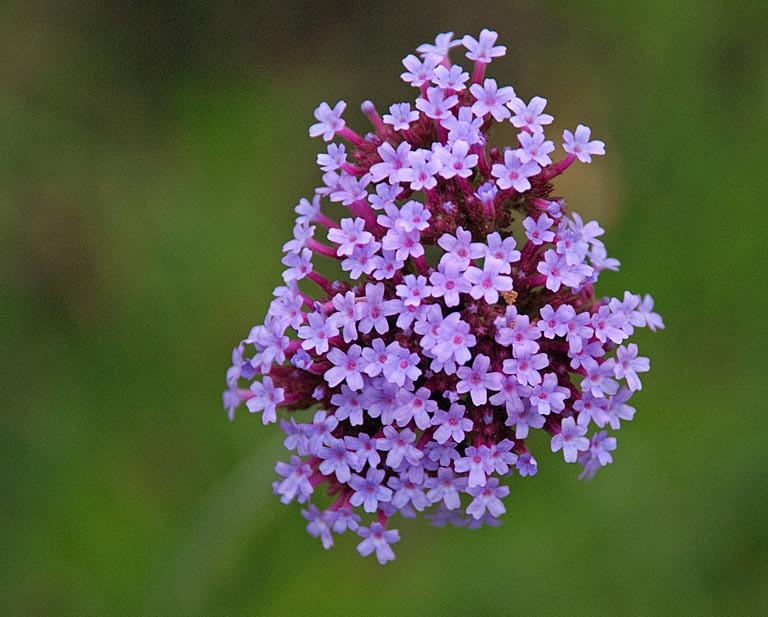 The bees and butterflies love them too so they’re a great plant for a wildlife garden. 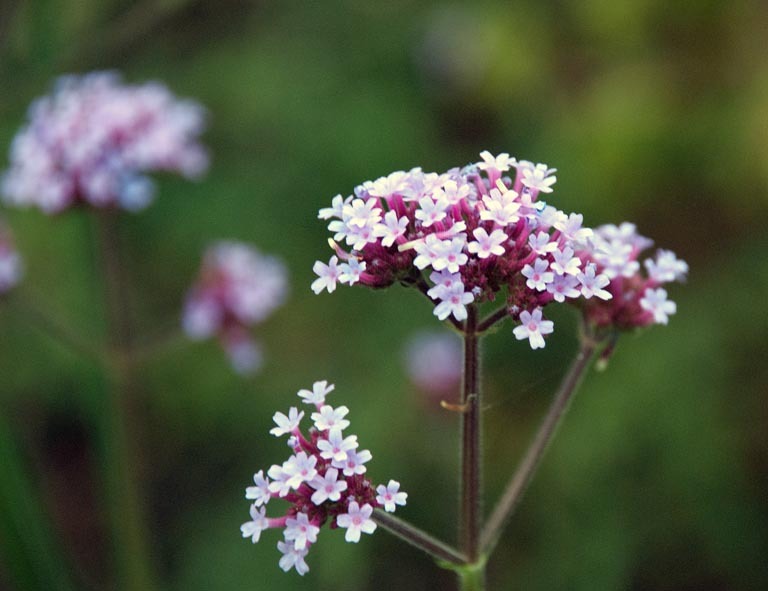 As they can be a little tender in very harsh winters, it’s best to leave the spent flower stems over winter and then cut them down in Spring when the new stems start to emerge from the base of the plant.